Fendi continues to delight its fans with a new invasion of Bag Bugs, a mischievously quirky family of charms attached to handbags. 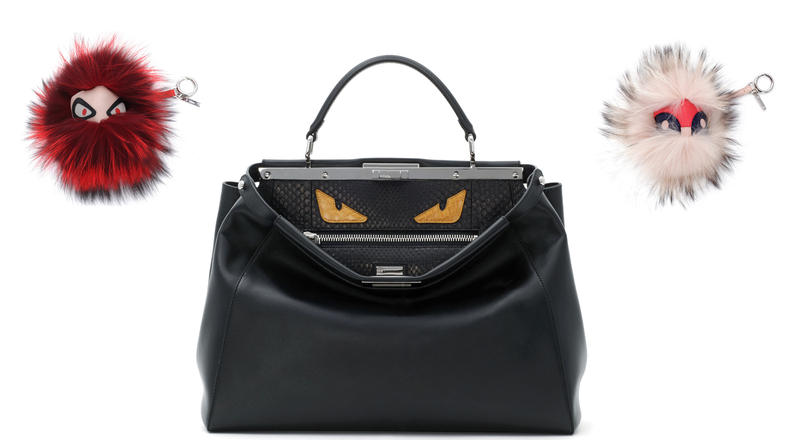 Made of fur and leather, the colorful little critters cast their googly eyes on a selection of Fendi classics, including the ever-fashionable Peekaboo. Crafted in luxurious materials, these precious little talismans make a statement that’s decidedly retro and offbeat. The characters come alive like animated marionettes, as fun as they are colorful. These irresistible little monsters are guaranteed to bring a smile to every face.